Note: This post was originally published on OPEN Forum; it is re-published here with permission. If you’ve already searched for some Fan Page inspiration and taken up the task of building a custom landing page for your business’s Facebook presence, you may now be in the market for some features that will further engage fans of your brand. A nice feature of the modern social web is that it’s modular. You can plug in and customise pre-made pieces of software (often created by other users or companies), and mix and match what works best for you without a lot of technical know-how. 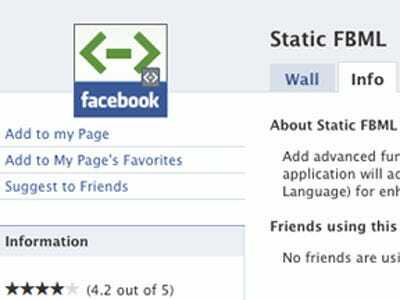 Facebook works the same way with apps. Many Facebook apps are built for casual use, like the social games and quizzes you may see your friends using in their personal feeds. 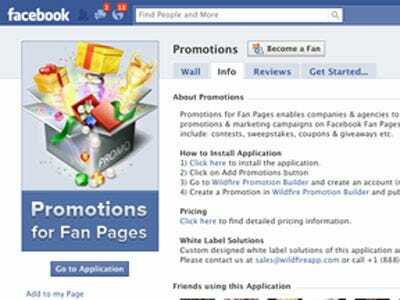 But there are quite a few apps that are ideal for a business Fan Page. These are useful for customising your page with greater detail, showcasing your content from other social sites, and getting more information from your customers. 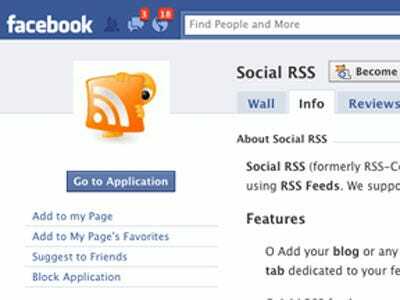 If you already have great content from your company's blog or another social network that you'd like to bring to the fore of your Facebook presence, Social RSS is a smart tool. You can configure this app to automatically pull in updates from any RSS or ATOM feed and display them as posts on your Fan Page, either on a dedicated tab, a wall tab (on the left side) or as part of your core news feed. 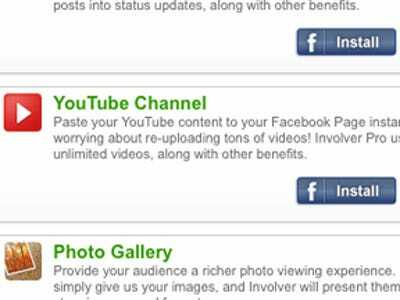 It's a useful way to automate your content and eliminate the need to republish things manually to your Facebook Page. 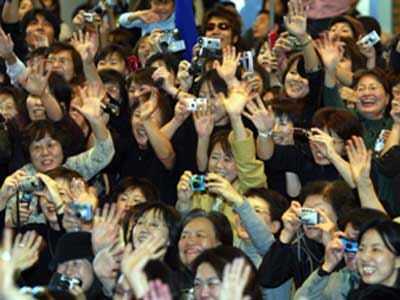 Take note, however, that fans on social networks are much more responsive to curated content. Especially on Facebook, where people connect to a smaller community of personal friends and family, an unfiltered pipeline of RSS content may not be welcome in all news feeds. If your core customers are already subscribed to your blog and other social accounts, a double-dose of the same exact content may trigger some to hide your updates or 'un-fan' you. Consider relegating your Social RSS feed to a tab if this is the case. Test where and how an app like Social RSS is best implemented on Facebook, and adjust as needed depending on the size and response of your audience. Sometimes you just need a little feedback. That's what social engagement is all about, right? On Facebook, it doesn't get any simpler than the Poll app. There's no account to sign up for. Once you connect it to your Page, all the setup and data lives right in your settings panel. A poll can be a casual way to get a read from your fans about a new product, a new page design, or your business in general. In the poll settings, simply name your burning question (What do you think of our new spicy burritos? ), list your choices (Delicious, Pretty Tasty, Needs Work, Offensive) and select your publishing options. Polls can be published to your Page wall/feed, live on a custom tab, or be popped into your left-hand navigation where visitors can click anytime they come to your Page. You can invite your friends to take a poll, and they can easily share it out as they would any other post or app. 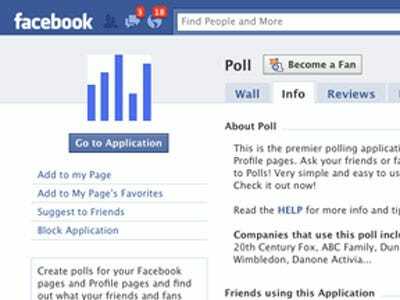 Both you and your visitors can see the poll results without leaving Facebook. Publishing a weekly poll about new products or changes in your industry is a great way to keep fans coming back to your Page and talking about your brand.